Aerospace & Defense industry has been key sector for driving innovations globally. It has instigated innovations that have broader implications and in many cases have affected day to day life in a positive manner. AI, GPS navigation, commercial aircraft and satellites are few examples of innovations that have made colossal changes. The aircraft design, for example, has undergone radical innovations since the early 1900’s, leading to major improvements in performance. The focus of the technological improvements in aircraft design has also shifted from ‘Faster-Higher-Longer’ to ‘Reliable-Faster- Cheaper’ to ‘Quieter-Cleaner-Greener’. Materials: Few decades back, 70% of an aircraft parts were made of aluminium. Other materials such as composites, titanium, graphite, and fiberglass had limited applications. However, in modern day air crafts the use of pure aluminium has reduced to a minuscule 20%. Most of the aircraft structural materials now consist of composites. For engine parts and critical components, the choice is for lower weight and higher temperature resistant material for better fuel efficiency. This has given rise to a search for new material development and a re-look at material previously discarded by the industry for poor machinability. Ceramics in engines and Graphene / Carbon nano tubes (CNT) for structures are the material in demand and pine for a different manufacturing processes and tooling than the ones in practice.With the uniqueness of application in the industry, the mix of materials in A&D seems to continue to change in coming years. Design: Aircrafts primarily use carbon-based fuels such as gasoline or kerosene but with oil resources declining and penalties on greenhouse gas emissions increasing, the future of aviation is dependent on finding an alternative power source. The solution to this challenge is development of Electric Aircraft (or hybrid aircraft) that uses electricity for aircraft systems. The idea is to significantly reduce fuel consumption by improving overall energy efficiency. Low battery storage capacity and weight & power density are some of the challenges that require innovative thinking. Commercial aircraft turbofans are getting bigger. Larger fans and higher bypass ratios mean greater propulsive efficiency and lower fuel consumption. Turbofans being produced are having bypass ratios of 15-20, compared with 10-12.5 for the conventional engines. But their increased size will force changes in wing and landing-gear design and, potentially, aircraft layout and engine location. 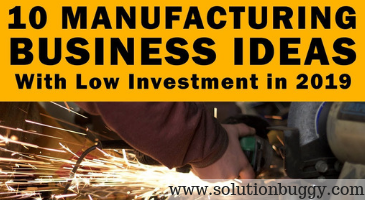 In the age of deflationary profit-margin environment and need for innovative designs, modelling, simulation and rapid prototyping play an important role for development and testing new design with lesser risk and low cost thereby reducing the time to market. A&D engineers can explore the effects of the most complex physical phenomena on unique product designs. They can imagine, create, optimize and evaluate multiple design alternatives for engines, wings, radar systems and other components that have the power to transform the industry – without investing in extensive physical prototyping or wind tunnel tests. Technologies & manufacturing processes: The pressure on aircraft production continues to build in A&D industry, fuelled by an increasingly significant surge in commercial travellers and defence expenditure. Today, the transition to Industry 4.0 appears to be the most effective solution to boost factory productivity. Industry4.0 is seen as a transforming force that will modify not only production infrastructure, but also the development of products and services. The trend is fuelled by rapid progress in digital technologies: Internet of Things, Big Data, Artificial Intelligence and of digital practices: co-operation, mobility & open innovation. There have been tremendous investments in A&D industry to leverage this revolution, not limited to areas such as 3D printing, factory automation, advanced analytics and predictive maintenance for the aftermarket, but in more comprehensive capabilities and strategies on business transformation with Industry 4.0. A&D industry has been the fore-runner in using 3D printing – in both the proto and production. Aero-Engine manufacturers are vastly using this technology for blades and other components within the engine. However, in the field of robotics the industry is still to find major gains due to low volumes as compared to the other industries like automotive. Business: Business innovation refers to innovation in Business model and processes that will eventually change the practice of what businesses do,and how it is done.Typically,such innovations have long term impact on the industry. “Power by the Hour” approach is already reshaping customer-supplier relationships in A&D industry. Customers and suppliers of critical products, such as aeroengines, semi-conductor equipment, aircraft and Défense systems, are recognizing the importance to provide timely, cost effective maintenance and support services throughout the after-sales phase of the customer-supplier relationship. A major focus of these efforts involves re-designing the contractual and implicit relationships between customers and suppliers in the service support phase.At the heart of this concept is the notion that risks and incentives should be more equitably aligned between suppliers and customers than has been possible under traditional contracts. New components,new suppliers or an improved deal with the existing suppliers could improve products and profits significantly. Major prime contractors in A&D industry have integrated the suppliers into the manufacturing processes to ensureonlinevisibilityoninventoryatvariousstagesandqualitycontrol. This has significantly reduced the latent costs and lead time across the supply chain but increased the supplier switching costs significantly. While industry growth on the surface indicates progress, the A&D industry is changing at an unprecedented rate. The industry is seeing disruptive changes-from aggressive production ramp-up rates to need for fuel economy, from cost pressures to dynamic geopolitical situation. Industry consolidation and increasing M&A activities have also been observed. Inundated with these challenges, INNOVATION seems to be the success mantra for the future. At SolutionBugggy we have seen projects being posted in the aerospace and defence sector constitute about 14% of the total projects on the platform. There is a large demand for consultants in the aerospace and defence sector who are also well versed in design and industry 4.0 concepts. Due to the inherently capital intensive nature of this industry, there have been a few requests for debt and equity funding from the entrepreneurs.